As a patient, you trust that your doctor is well-informed of medical advancements, including developments and products that could be dangerous to your health. Patients who have been a victim of transvaginal mesh injuries may be surprised to discover that doctors were informed of the dangers in 2008. 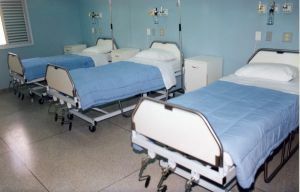 According to a public health notification published in 2008, there are serious complications associated with transvaginal placement of surgical mess to repair pelvic organ prolapse and to treat urinary incontinence. In an FDA warning issued on October 20, 2008, physicians were warned that complications associated with transvaginal mesh can have adverse effects and serious health consequences. Despite this initial warning and continued reports of injuries, the product has still not been recalled. Our medical malpractice attorneys in Massachusetts continue to advocate for the victims of Transvaginal Mesh injuries. We are dedicated to keeping our clients, the medical community, and patients aware of the dangerous of medical devices to protect future injuries. According to the initial FDA warning, there were over 1,000 incidences of transvaginal mesh complications reported involving surgical mesh manufacturers between 2005 and 2008. Common complications from the transvaginal mesh included erosion, infection, pain, urinary problems, and the recurrence of incontinence. More serious problems included bowel, bladder, and blood vessel puncture during insertion of the devices. Women also suffered from vaginal scarring and mesh erosion. Overall, patients suffered a devastating reduction in their quality of life, including pain, discomfort and other severe side effects. The FDA warned that treatment of the complications could also lead to further injury. Victims of transvaginal mesh injuries had to have additional surgeries, IV therapy, blood transfusions, as well as the drainage of hemotomas or abscesses causing additional complications. At the time the original warning was issued, there were no characteristics identified that would have increased the likelihood of complications. The FDA did suggest that patients may be at a higher risk if they have poor health or if the mesh was ill-fitting. After the 2008 warning, physicians were only recommended to get proper training and be aware of risks. They were also told to warn patients about the potential complications and risks. Since the initial 2008 FDA publication, there have been few recalls of transvaginal mesh products. They continue to be in use to treat pelvic organ prolapse (POP) and stress urinary incontinence (SUI). In January 2012, the FDA issued post-market surveillance study orders to all manufacturers of urogynecological surgical mess products. At this point, many manufacturers simply withdrew from the market to avoid liability. Only one year ago, these actions developed as a result of the high numbers of women continuing to report complications with the synthetic mesh. The most problematic of these injuries include an erosion of the vaginal walls and other nearby organs. Despite the urging of consumer advocates, legal professionals, as well as safety experts in medicine the devices have still not been recalled or banned. Currently, advocates for a recall are demanding new legislation to prevent future injuries. Thousands of lawsuits have been filed against manufacturers and those who withdrew products in a voluntary recall. If you are the victim of Massachusetts medical device injury, call the Law Offices of Jeffrey S. Glassman for a free and confidential appointment — 1-888-367-2900.